Have you ever started something only to never finish it? While we might struggle to start and finish things in our own personal lives, God has begun some incredible things in the church and has called us to complete them. Over two years ago, God birthed in the heart of Vintage Church the MORE Initiative. This initiative laid an incredible foundation for what is to come. As we enter into 2018, God has called us to complete what he began. How are we going to do this? In 2018, Vintage Church is going to complete the Pathway! 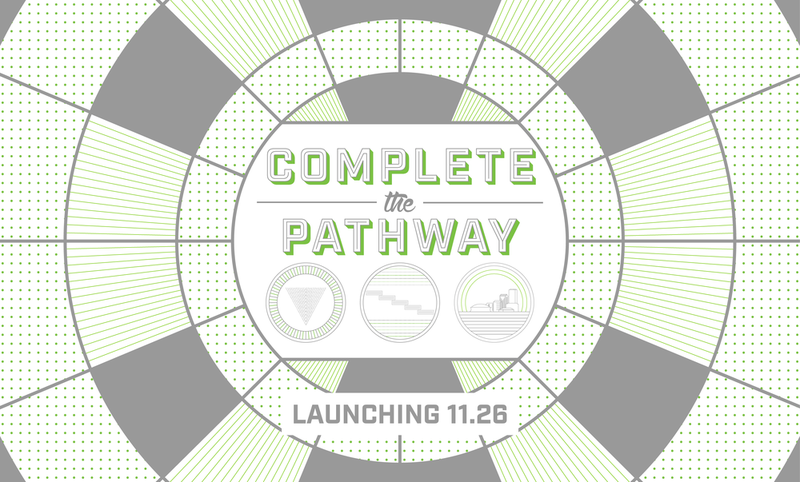 Join us for the next 4 weeks, as we discover what it looks like for us to complete the pathway together! 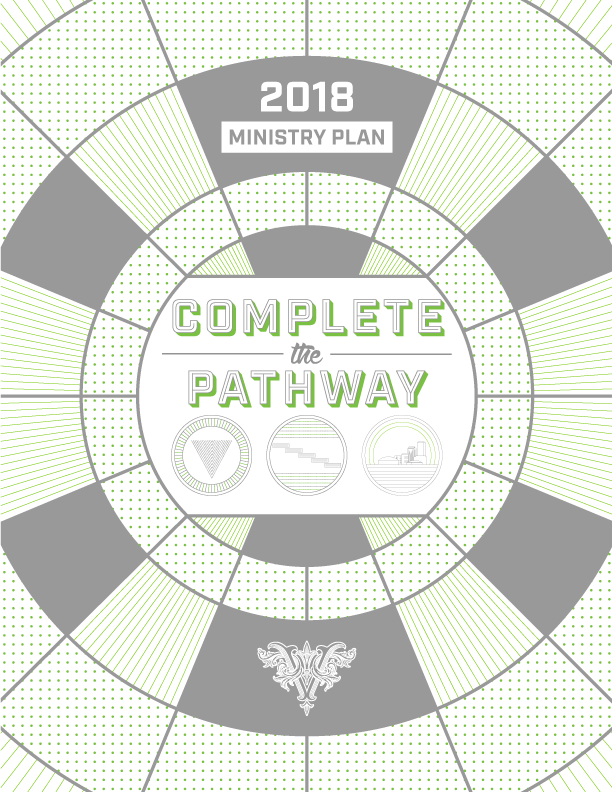 Download the Complete the Pathway Booklet for an overview of what we are trying to accomplish together in 2018. At Vintage Church we are intentional in everything we do. We believe God has big plans for each one of us. Because of this, we have the Vintage Pathway, Vintage Church's discipleship journey. The Vintage Pathway is the journey that we believe each and every person should take so that they can grow in their relationship with Jesus. Each step a person takes along the Vintage Pathway leads them into greater maturity in Christ. What are the steps along the Vintage Pathway? Gather: For many people, the first step in following Jesus or connecting with Vintage Church is by attending a gathering. Connect: After people attend gatherings, they connect further into the life of Vintage Church through the Connect Track, joining a group, and serving on a team. Partner: While it is awesome for people to connect with Vintage Church, we believe it is important to also commit by becoming a Vintage Partner. Lead: Our prayer is that all people at Vintage Church would aspire to lead whether that is with our vTeams, vGroups, Ministry Teams, Staff, or pastors. Send: Whether it is to our neighborhood or across the globe, we believe that God sends all Christians out to live the gospel, serve the city, and be the church. It's time to complete what God has begun. Let's Complete the Pathway! Have you ever started something only to never finish the project? Why did you stop and what did you learn about yourself? In 2 Corinthians 8:11, Paul tells the Corinthians, "now finish doing it well, so that your readiness in desiring it may be matched by your completing it out of what you have." Why do you think it is important to finish things we start as Christians? On Sunday, Pastor Dustin taught the Vintage Pathway. How does the Vintage Pathway help explain how Vintage Church makes disciples? It's time to complete what God has begun! Let's make disciples! On Sunday, Pastor Rob Wilton preached from 2 Timothy 2:1–2 and Vintage's focus on discipleship in 2018. Prior to Sunday, what had you heard and thought regarding discipleship? Have you ever been discipled or discipled someone else? How was that experience? In 2 Timothy 2:2, Paul tells Timothy, "What you have heard from me in the presence of many witnesses entrust to faithful men." What does it mean for us today to entrust the gospel to others? Think of some practical examples. Pastor Rob shared about the discipleship cone on Sunday. He talked about how discipleship happens at different levels in the worship gathering, in vGroups, in Life Groups, and by your self. With these things in mind, what is one thing you need to adjust in 2018 to grow in discipleship more? It’s time to complete what God has begun! Let’s lead the way! 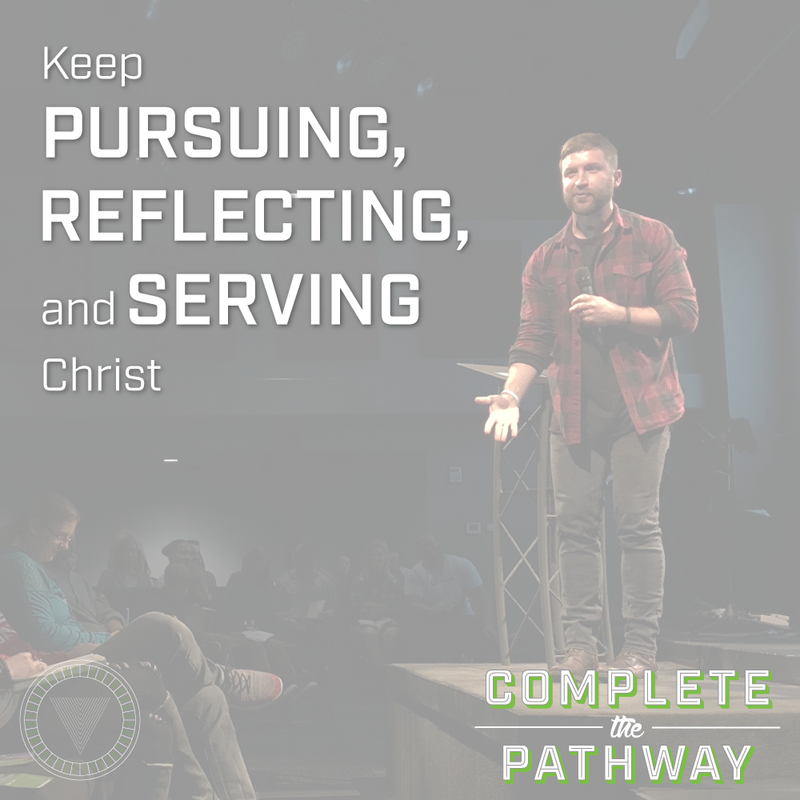 We continued our Complete the Pathway series this weekend, focusing on our Leadership Pipeline. In thinking about leadership, what kind of experiences have you had under different leaders and in leadership? Were these experiences good, bad, or indifferent? In Mark 10:42–45, Jesus provides a very different vision for leadership than the world offers. Look at Jesus' words again and take some time to compare Jesus' vision of leadership with what our world says is good leadership. What makes Jesus' vision of leadership so counter-cultural? What leadership opportunities has the Lord given you? In those leadership opportunities, where do you need to grow and what is your plan to grow? It’s time to complete what God has begun! Let's serve our city! As we wrapped up our Complete the Pathway series this Sunday, we discussed Vintage Church's focus on serving in 2018. Regardless of whether you're a Christian, people in our city love to serve. Why do you think serving is such a popular thing in our city? On Sunday, Pastor Dustin preached from Luke 10:25–37 and the parable of the good Samaritan. After reading this passage again, what does the actions of the Samaritan tell us about him? There are so many needs in our city, including physical, mental, emotional, spiritual, and others. What is one need you are passionate about and what is one thing you will begin to do in 2018 to meet that need? 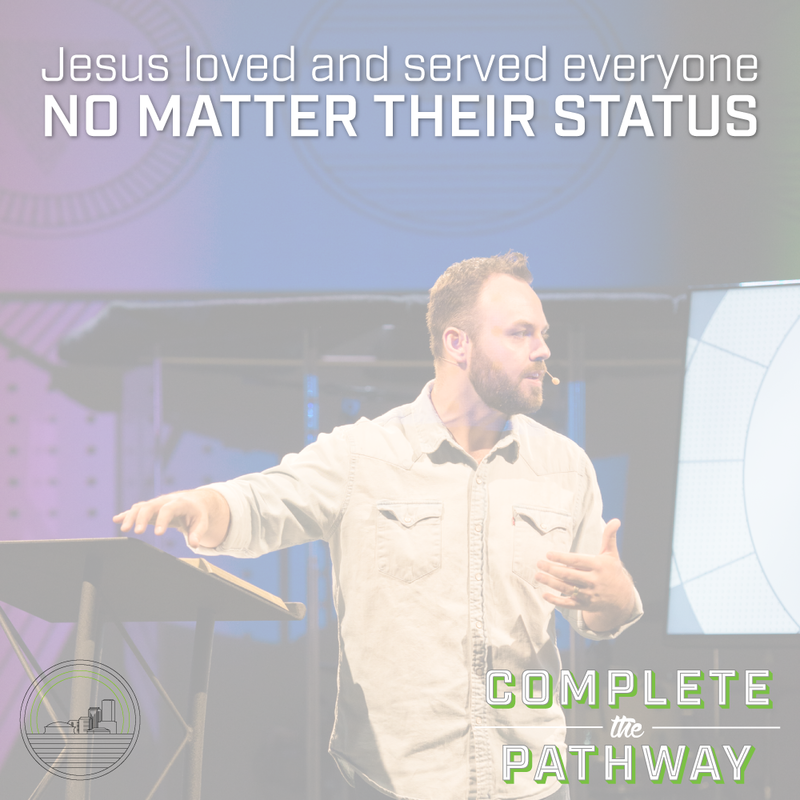 Check out these brief sermon snapshots from our Complete the Pathway series. Like what you see? Make sure to check out the full sermon videos above. God has done some incredible things through Vintage Church, but he's not done! Watch as Pastor Dustin Turner encourages us to complete what God has begun! At Vintage Church, we believe the best way to grow in your faith is to take a next step through the Vintage Pathway. Watch as Pastor Dustin Turner explains the Vintage Pathway and encourage each of us to take a next step. A discipleship pathway is a playbook for your life that will bring incredible freedom, growth, and joy. Watch this short video as Pastor Rob Wilton encourages us to follow God's playbook and make disciples. We serve because Jesus first served us. Watch this short video as Pastor Rob Wilton proclaims that leadership is all about servanthood. If Vintage Church is going to serve our city, we must embrace everyone! Watch as Pastor Dustin Turner challenges us to embrace everyone regardless of their race, age, gender, socioeconomic status, and more. Help us promote our Complete the Pathway series by downloading and sharing the images below.